Man…I haven’t updated in like a week! Tons of stuff going on- getting tons of cards for Commons4Kids and finding groups of amazing folks to work with in the future. Getting everything set up to start streaming on Twitch and focus on Sharkfin Gaming. I’m down a total of 120 lbs with strictly Sharketo and exercise and my first 5K is tomorrow! My wife and I are doing the CASA Super Hero Fun Run/Walk….which we will be walking because I’m still a pretty fat guy. 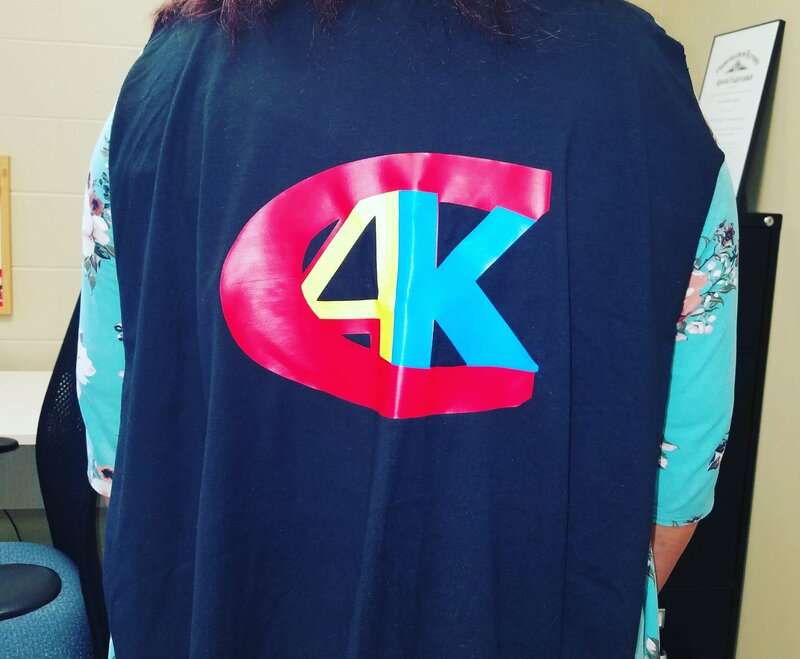 I had a custom cape made with our C4K logo and will hopefully represent the C4KFamily as well as I can. Not really much to update honestly…once you really get into Sharketo it basically runs itself – my motivation is still pretty high and I’ve got about 4 months to see how much I can lose for 2018 and then focus on hitting my goal and maintaining in 2019. I’ve got to plan the trip to ride my first roller coaster as well…2019 is going to be a big year for me! Now that I’m well past the 50% part of my weight loss journey, I need to focus on what I want to do once I get down to where I want to be…if I don’t have something to focus on, I’m afraid that I may fall back into gaining all the weight and I can’t let that happen….hence Sharkfin Gaming! I want to really get into video games and just enjoying life and promoting my social stuff- my thoughts and opinions and having the best life I can have in general.